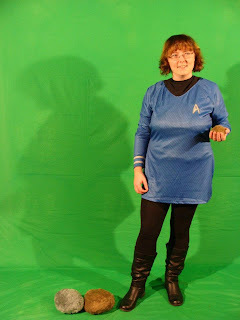 News from Down Under---Grace, in Uniform, with Tribbles. Now--what can get cooler than that? Whew! Where did May go? No matter. June brings new and exciting events to Splashdown waters. Read on! Destinies are forged in the dark night of the soul. Kaylee and Nathan pursue a zombified Crystal to rescue her soul if they can. A vision of death propels their mother, Gabrielle, to chase them in order to prevent its fulfillment. Her wizard friend, Josh, accompanies her to keep his promise to protect her. A mysterious religious leader wants to seduce Kaylee to violate her morals. And a demonic being seeks to bury the reality of the ring through temptation and deceit. Through their twisting journeys, each encounters their destiny. Including the ring. ...Reality's Fire is revealed, and no soul can hide from its judgment. Reality's Fire is currently available for purchase at the usual places. Click over to Splashdown Bookshop for more information and links. She joined the knighthood for the scholarship program. 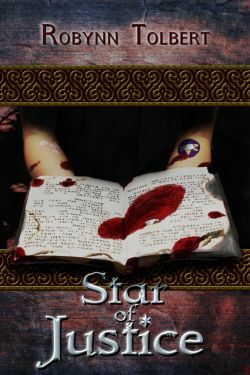 A thwarted assassination attempt drags Caissa Ocren into a secret war between elemental spirits and dragon worshippers. More accustomed to solving puzzles than wielding swords, she undergoes a crash course in survival from a mercenary minstrel, a shape-shifting druid, and a legendary spirit warrior. An ancient book may hold the answers she seeks, but understanding requires the memories of a wizard. With time against her, Caissa faces the hardest lesson of all—how to serve when the cost is her life. 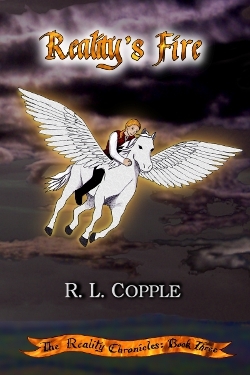 Available for purchase at Amazon, Kindle Store, Barnes &amp; Noble and Smashwords. Click over to Splashdown Bookshop for more information and links. 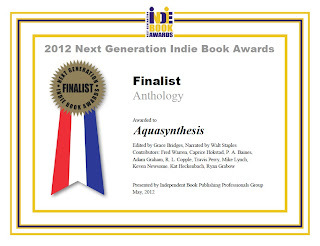 Two Splashdown releases took silver medals in the Next Generation Indie Book Awards: the speculative anthology Aquasynthesis and YA fantasy Finding Angel. 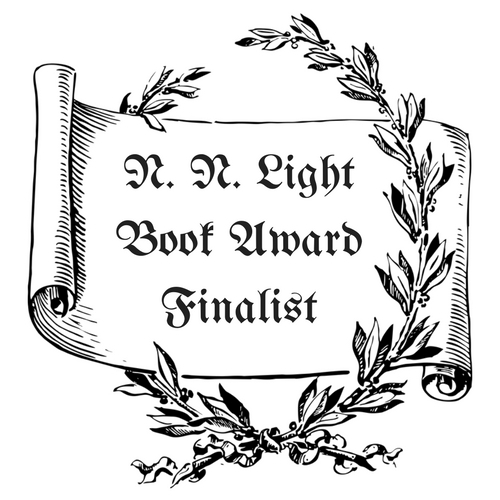 Congrats to the authors of Splashdown Books and Kat Heckenbach! Two Splashdown authors are engaged in a Brag-Off this very moment. Who will win and who will dance and sing the wonders of the other on YouTube? 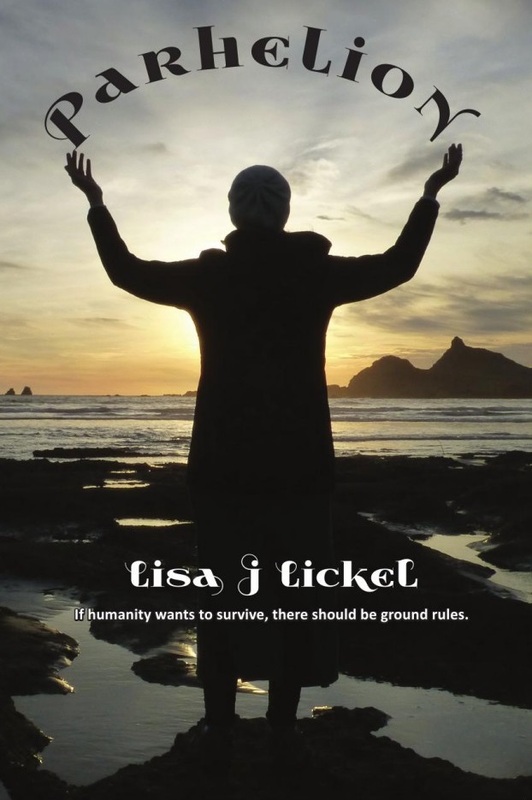 Splashdown Books publisher Grace Bridges attended the unConventional Speculative Fiction conference in Auckland last weekend and got herself elected Padawan to the President of writers' group Speculative Fiction New Zealand. We always knew she was going places. Weird, weird places. And her Tribbles are going with her. Keep your eyes open. New book releases coming all year, including Splashdown's first non-fiction book (shhh. It's still a secret)! But before that, look for something new from our Darkwater paranormal line, plus another exciting anthology. That's it for June, folks. Busy, busy, busy down here at the bottom of the world and everywhere a Splashdown author writes, but we plan to keep you on top of it all. 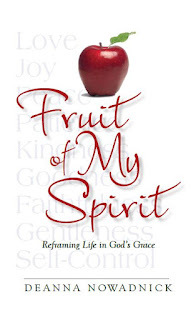 Welcome author Deanna Nowadnick, who shares about her book, Fruit of My Spirit. I love that I got to tell my story. I did not intend to write a book. I just wanted my sons Kyle and Kevin to know how I met their father. One story became two stories, two stories became four stories, and suddenly I was announcing to anyone within earshot, “I think I wrote a story.” Now I love that I get to share my story. It’s been an absolute joy and delight to hear back from readers and reviewers, to learn how they have connected to my tales of challenge and hope. We laugh over camping fiascos. We wonder about those plaid pants from 1973. We mourn losses. Without ever meeting, without ever sharing a latte, we’ve bonded in ways that I have truly treasured. That's great! Can you share something unique that you learned during the writing and publishing of this book? I learned that there is nothing as cathartic as sharing our experiences in writing. Words, sentences, and paragraphs give order and meaning to so many things that get thrown into our mental box of memories. We all have a story to tell. 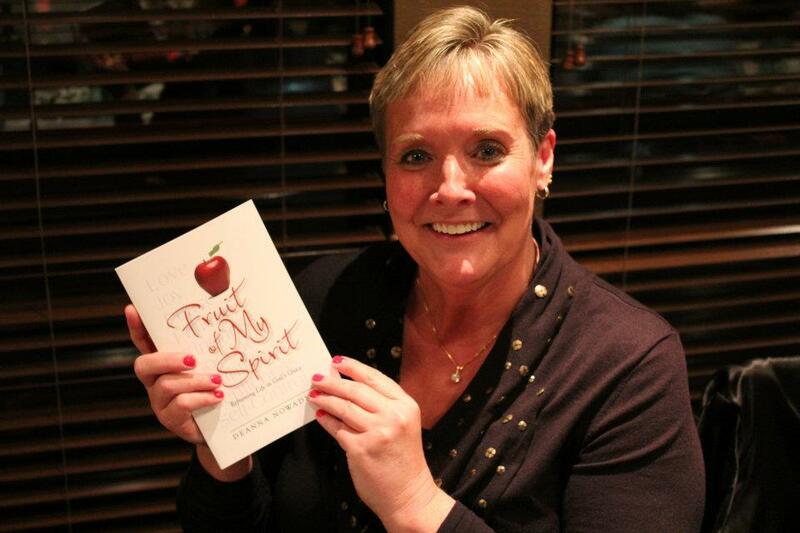 During my first book signing, the single most repeated comment was, “I have a story to tell.” I quickly began to focus on ways to empower and encourage others to share their own story in a way that is most meaningful to them. For Christmas, my aunt sent me a wonderful cookbook of favorite family receipts. I don’t cook. I’ll probably never use a single recipe, but open opening the package, I sat down and read the book cover to cover. You see each page had a paragraph or two about my aunt, most stories unbeknownst to me. Not everyone will write a book, but everyone can share their story. What's coming down the road for you? The first draft of Book 2 is done. Signs in Life: Meeting God at the Corner of Grace and Mercy tells of those times when God has come alongside and guided, directed, and turned me. This book is another collection of short stories, this time recounting when God has met me at life’s crossroads, when I’ve been “on point” with God, not because of anything I’ve done, but because a loving, gracious, merciful God has been there time after time, again and again. I love that title. Thank you, Deanna, for sharing yourself today. Fruit of My Spirit is my first book. My “day job” is with The Planner’s Edge, an investment advisory firm in Washington State. The boss and I have been together for 22 years. Today I’m his Client Service Coordinator. I have thoroughly enjoyed being part of his practice and working with his clients. And since I telecommute, I have even more time to write! I live in Monroe, Washington in the beautiful Pacific Northwest. I’m the mother of two delightful young men, one who has read the book and one who has decided it’s just way more information about Mom than he needs at this point in life. I’m active in my church, editing the monthly newsletter and playing the violin during worship services. I love to knit, I adore chocolate, and most important I enjoy a blessed marriage to my best friend, Kurt. Want to connect with Deanna? a special prize for the first person that buys a copy. 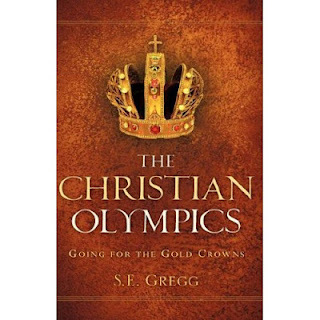 About the Book: The Christian Olympics: Going for the Gold Crowns, the unveiling of the Bible's comparison of the Christian race to the Olympic Games, is the spin-off from the newspaper article titled "The Christian Olympics are still going on!" written by the author. Today more than ever Christians are discouraged in their walk with God because of the multitudes of personal problems, suffering, and worldly events that have occurred. Some have given up, lost hope in their faith, and/or don't feel that living holy lives matters anymore. The Christian Olympics will stir up Christians, igniting their spiritual fires to look forward to what is ahead. When Christians see themselves as players in an Olympic game, it gives them a new understanding and exhilaration for the Christian life, as spiritual athletes. Readers will actually visualize themselves in a spiritual athletic competition which has never been done before in a Christian book. A marathon runner in the Christian Olympics for several decades, S. E. Gregg is a Bible school graduate and the founder of Sound Doctrine Christian Ministries. An award winning author, gifted Bible teacher and Bible curriculum writer, Gregg has authored the best-selling books,"Evangelism Counseling- How to Counsel People About Salvation","The Christian Olympics-Going for the Gold Crowns" and the salvation tract,"God Became A Man". The salvation tract has been translated into the Burmese language and over 100,000 have been printed. Gregg lives in the Philadelphia,PA area. 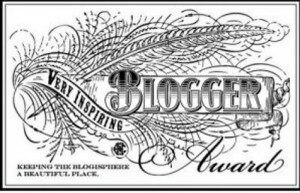 Follow the Blog: The Christian Olympic blog is a list of articles about worldly events that are happening along with sports and how they relate to the Christian marathon. RUN THE RACE WITH ENDURANCE !! FIGHT THE GOOD FIGHT !! PRESS TOWARD THE MARK !! REACH FOR THE FINISH LINE !!! RECEIVE CROWNS OF GOLD !!!!! The unveiling of the Bible's comparison of the Christian race to the Olympic Games. Twelve year-old Mark Jamison is a thinker and a worrier. Ten year-old Barry is attuned to nature, but his focus quickly shifts from one item to the next. 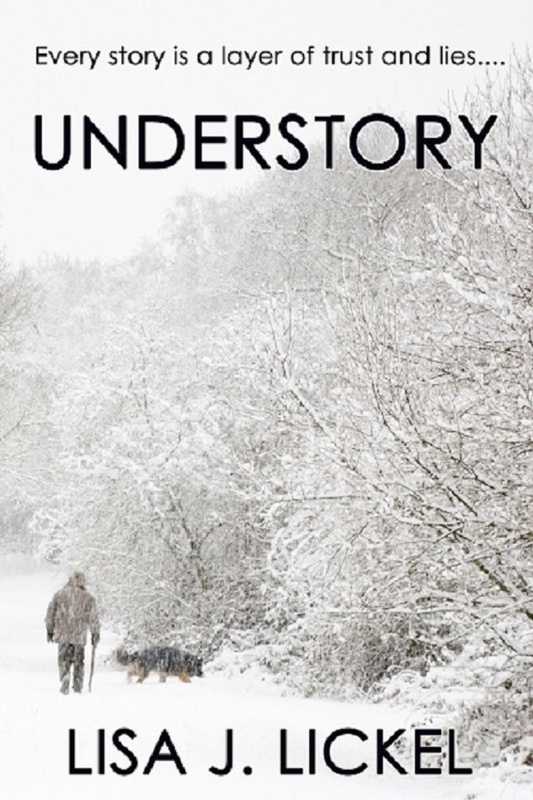 The brothers’ lives are further complicated by family tragedies. Their dad’s deployment to Afghanistan and their mom’s illness both ended badly. Rather than a wonderful journey, life has been hard. But when the boys discover a mastodon tooth and a spear point in the Baraboo Hills, powerful forces are unleashed that carry them across ages and propel them onto the adventure of two lifetimes. The brothers journey with mastodons and Paleo-Indians amid the landscape of Ice Age Wisconsin. They face giant predatory mammals, as well as predators of the human variety. They witness acts of courage and sacrifice. And through it all, the boys gain more of the strength, wisdom, and hope needed to face the obstacles of life’s journey. 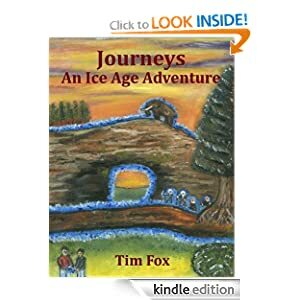 Journeys; An Ice Age Adventure is a story that inspires excitement, laughter, and tears. Above all, it reminds us of the importance of hope and a sense of wonder. After a fourteen year teaching career, I had a fierce desire not only to write, but to pass on something special to my own kids. I love the Wisconsin landscape and feel a strong pull to its Ice Age connections – glacially sculpted landforms, fossil finds, Paleo Indian artifacts. These fuel my imagination and are part of what impelled me to write Journeys; An Ice Age Adventure. Tim Fox is a personal fitness trainer and “Olympic-style” weightlifting coach. 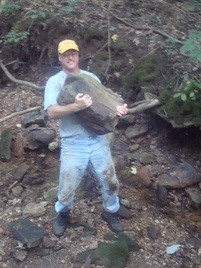 He can’t resist picking up big, heavy things! Book Expo America, New York--Author Lance Johnson will sign the new English edition of his book What Foreigners Need To Know About America From A To Z: How to understand crazy American culture, people, government, business, language, and more at the Independent Book Publishers Association booth #3044 at Book Expo America on Thursday, June 7, at 10:30 am. The famous tradeshow is at Javits Center in New York City. As the title suggests, this book is for “foreigners,” which Johnson redefines as anyone not sufficiently familiar with American culture to meet their goals for success. They may be citizens from foreign countries who still lack sufficient knowledge to meet their travel or business needs. They may be among the multitudes of foreign-born, naturalized citizens who have lived in the U.S. for years and still struggle with everything from etiquette to language. They may be first- and even second-generation Americans whose immigrant parents did not fully expose their children to American culture—an all too common occurrence—and they now struggle with the mainstream. They may be students who are studying in America or those who would like to. Originally published in simplified Chinese by Oriental Press in China, this unique book has been endorsed by U.S. and foreign ambassadors like Clark T. Randt and Zhou Wenzhong. Jay Gajjar, India language professor says, “The A to Z chapters are nicely written and informative. The language is simple and presented in a fine sequence. This is a realistic bible of modern America.” The new English edition has been updated and expanded. What many notice is that Johnson is willing to paint a picture of the America he loves—warts and all. Lance Johnson has traveled in, taught in, visited, or lived in 81 counties and 49 of the 50 American states. His understanding of his own culture increased as he learned more about the cultures of others. He also began to understand why some foreigners throw up their hands at what they see as a crazy Americans and their crazy language. He brings this rare understanding to his new book. Johnson will sign and give copies to publishing professionals at the famous Book Expo America where the publishing industry convenes . Acceptance = A Better World for All. ~ Lance Johnson, author of What Foreigners Need To Know About America From A To Z. 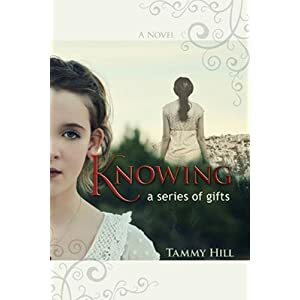 Knowing: A Series of Gifts , a supernatural novel for teens is available today! 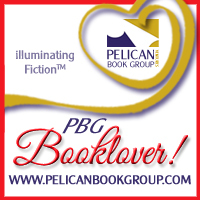 Purchase your copy and enter to win a Kindle!